The FAS Green Program recently conducted a lighting competition in the Department of Chemistry and Chemical Biology (CCB) to improve energy conservation behavior and highlight the benefits of integrating sub-metering systems within buildings on campus. For three weeks during the month of April a lighting competition was held between three groups located in Harvard’s Chemistry Department to encourage the positive behavior change of turning off lights in a space when unnecessary or not in use. Following up on a previous lighting competition where light usage was tracked by strategically placing data loggers throughout the lab to record when lights were on or off, Mike Paterno, the Senior Facilities Manager for CCB, suggested that we conduct a second competition utilizing the Siemens Building Management System’s sub-metering. The Siemens sub-metering system is installed in several newly renovated lab spaces, and allows for data collection directly from the light fixtures in each space by reporting kW usage every half hour. From this data the kWh usage for each space can be determined, facilitating the calculation of costs and greenhouse gas emissions associated with each lab’s lighting while negating the need to setup light tracking data loggers throughout each space. The Cohen Group, Jacobsen Group, and Nocera Group each occupy a recently renovated lab space in the department that had sub-metered lighting installed, and enthusiastically agreed to participate in the competition. The Nocera Group was particularly excited as they were the reigning champions of the previous lighting competition. Baseline data was collected throughout the month of March, utilizing the sub-metering system, to determine an average weekly kWh usage for each group. This average was then compared to the weekly kWh usage recorded during the three week competition. The percentage change was calculated each week and averaged for each group over the three weeks to determine a winner. The Nocera Group poses with their trophy, fashioned and wired by Mike Paterno and his team. The Nocera Group was able to repeat their previous performance and win the competition by reducing their weekly kWh consumption from lighting by an average of 73.6% from their baseline. Led by Eric Bloch, Chris Lemon, and Mike Huynh, everyone in the lab was extra careful and creative about saving energy. 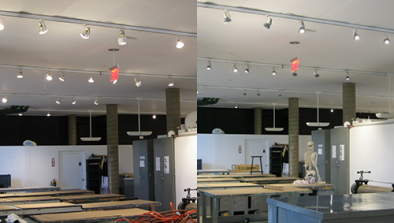 “Eric taught us how to find safe, new, and unique solutions when it comes to lab lighting. Chris Lemon and Mike Huynh made sure that all the lights in the lab and the offices (except the emergency evacuation signs) were off before they left the lab,” shared Dilek Dogutan Kiper, the Principal Research Scientist for the group who played a major role herself in supporting the competition. The Nocera Group was able to repeat their previous performance and win the competition by reducing their weekly kWh consumption from lighting by an average of 73.6% from their baseline. Both the Jacobsen and Cohen Groups, with support from their Laboratory Administrators Nicole Minotti and Maggie Kenar, reduced their weekly kWh consumption by substantial amounts, and it was clear that all groups worked diligently to change their behavior and reduce energy consumption. Combined, the three groups reduced their weekly kWh usage by an average of 38%. If this behavior continues, it equates to an annual reduction of almost 60,000 kWh representing over $7,000 in electricity savings and 20 MTCDE reduction in emissions. This is the equivalent to the amount of carbon sequestered by 17 acres of forests each year or the total annual electricity consumption of three homes. This data resulted from participation of only three of the nearly 30 research groups located in the Chemistry Department, demonstrating the significant opportunities for experiencing energy savings and greenhouse gas reductions through behavior change campaigns and initiatives. If this behavior continues, it equates to an annual reduction of almost 60,000 kWh representing over $7,000 in electricity savings and 20 MTCDE reduction in emissions. This is the equivalent to the amount of carbon sequestered by 17 acres of forests each year or the total annual electricity consumption of three homes. Researchers appear to be inherently competitive which allows for behavior change campaigns such as the lighting competition to be successful. They are constantly competing with their peers and other research groups as they work to make advancements in their fields. By drawing on this competitive nature, successful behavior change initiatives can be run to increase energy efficiency and resource conservation. The enthusiasm to compete benefited from having live data that can be compared and displayed for each group to see. The greatest response from researches afterward was, “when will the next competition be?” It will be important to monitor the sub-metering data to see if the behavior supported by the competition can be sustained, and the groups will be additionally incentivized through surprise weekly competitions with the winner receiving a prize and recognition. Dilek Dogutan Kiper, Principal Research Scientist for the Nocera Group, and Anthony Michetti, FAS Green Program Coordinator. 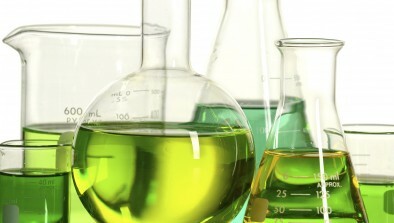 The Nocera Group works on carbon free, clean, sustainable energy research. Therefore winning this competition means a lot to us! We are very lucky to be at Harvard University not only because we have the opportunity to dedicate our time to learn more about energy research but also show that we care about saving it. The utilization of sub-metering helped facilitate this lighting competition and will allow for continued monitoring throughout the year to gauge the effectiveness of competitions in creating behavior change surrounding resource conservation. As new buildings come online and areas within older, existing buildings are renovated the addition of sub-metering for lighting and equipment plug load can provide ample benefits. Collecting real-time data relating to electricity consumption can help determine the effectiveness of behavior change campaigns and initiatives while providing important detailed information about each space. Eric Bloch stepped up for the group, making sure lights were off, and encouraging others to be mindful. Collecting real-time data relating to electricity consumption can help determine the effectiveness of behavior change campaigns and initiatives while providing important detailed information about each space. This allows for the comparison of different rooms and labs within a building versus simply comparing building to building utility consumption. It may also assist utilities as they look for ways to incentivize behavior change surrounding energy efficiency where it has been previously difficult to quantify. As these systems continue to be integrated and become more manageable they will provide a great opportunity to explore energy reduction opportunities and best behavior outreach practices resulting in cost savings and greenhouse gas reductions across the University. 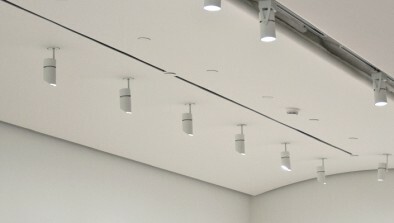 For a building focused on visual arts lighting is critical—that's why they chose LEDs.